Prepare yourselves… The strangest bedtime story ever told! Cult Epics brings you Death Bed, George Barry’s uniquely weird journey through a world of wind demons, carnivorous furnishings and the spirit of Aubrey Beardsley! At the edge of a grand estate, near a crumbling old mansion lies a strange stone building with just a single room. In the room there lies a bed. 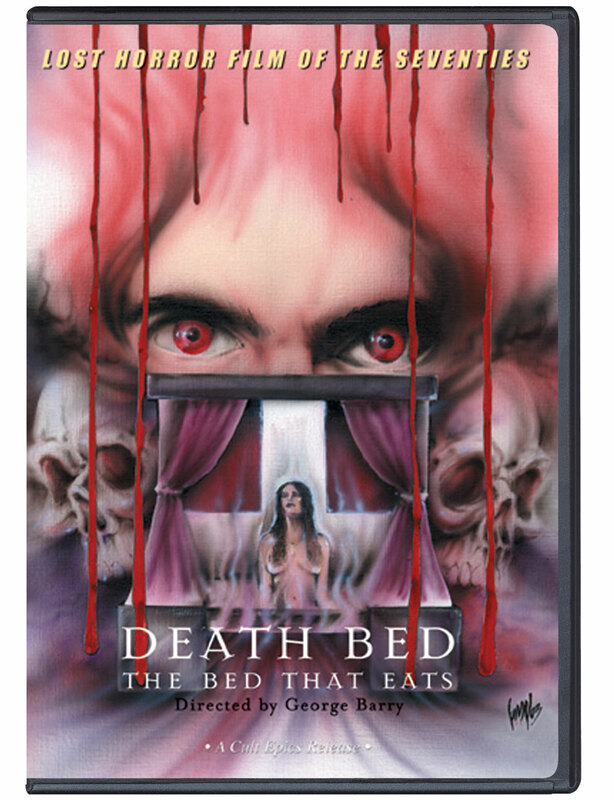 Born of demonic power, the bed seeks the flesh, blood and life essence of unwary travellers… Three pretty girls on vacation, searching for a place to spend the night. Instead, they stumble into nightmares – and the cruel insatiable hunger of the Bed! 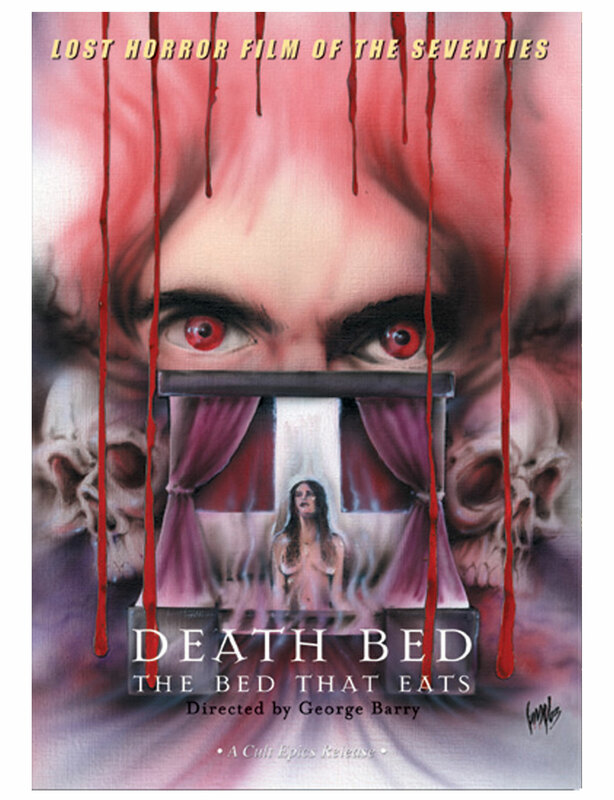 Death Bed is a one-of-a-kind experience: comic, horrific and dreamlike, that truly has to be seen to be believed. Discover this neglected marvel of American horror for yourself!